The fun part of making this soup these days is that you can use whatever type of thickener you prefer. Personally, I like Ofor. My mother prefers cocoa yam and my aunty prefers the oat meal blend. The best way to make and season this soup is by using ogiri(local seasoning made from fermented melon seeds or locus beans ). Forget that ogiri stinks oh! But it adds so much flavor to the soup. I love onugbu soup when it’s made right. I tried it with some palm nut cream a.k.a akwu to the igbos and for some reason I do prefer the one made with palm oil as recommended by my mother and a real Anambra woman who happens to be friends with my mother. Onugbu Soup. Bitter Leaf Soup. Ndi Igbo Kwenu!!!! Preparation wash the bitter leaves in water, making sure to squeeze and drain until it's no more bitter; then set aside. If the bitter leaves are dry, simply soak it in hot water and wash; then set aside to use for the soup. 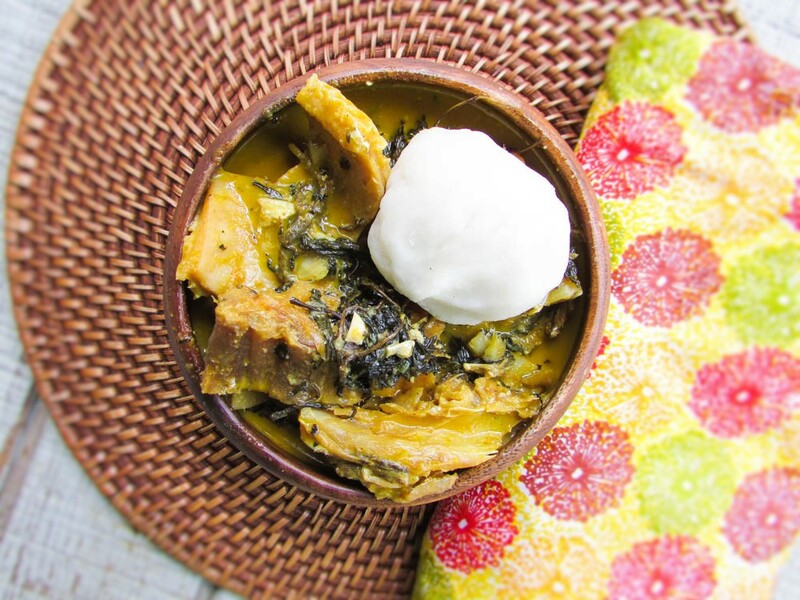 This entry was posted in Bitter leaf soup, Nigerian soups, Onugbu soup, Soups, Southeast recipes, Swallow, Uncategorized and tagged African food blog, bitter leave soup recipe, How to make bitter leave soup, Nigerian food blog, ofe onugbu soup recipe, onugbu recipe, onugbu soup recipe.